Recently found, this photograph of a young girl in a lacy outfit is presented on a rather battered board with the name ‘Irene M Hargreaves’ written on the back. 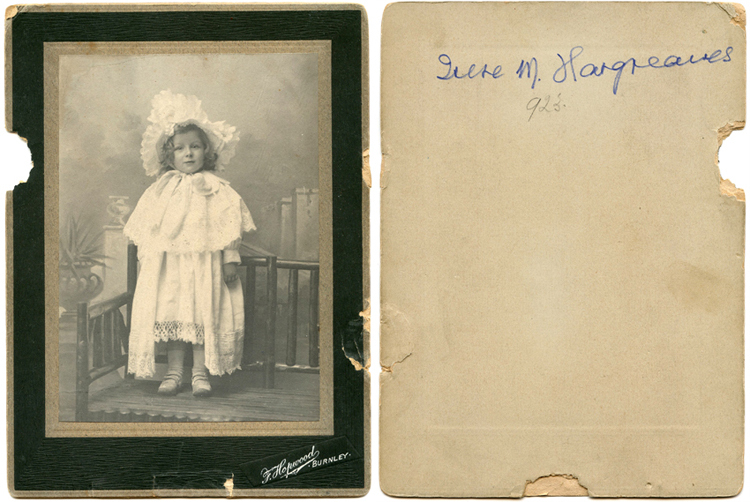 The handwriting on the back of this second photograph is more difficult to read, but my best guess is “Doris Mary Sandoe, aged 2 1/2 years, 1895”. According to census data a Doris/Dora Sandoe was born in Broadclyst, Devon c1893, the daughter of surgeon John Worden Sandoe. Is this the same Doris? And where did Irene and Doris get their wonderful hats?! 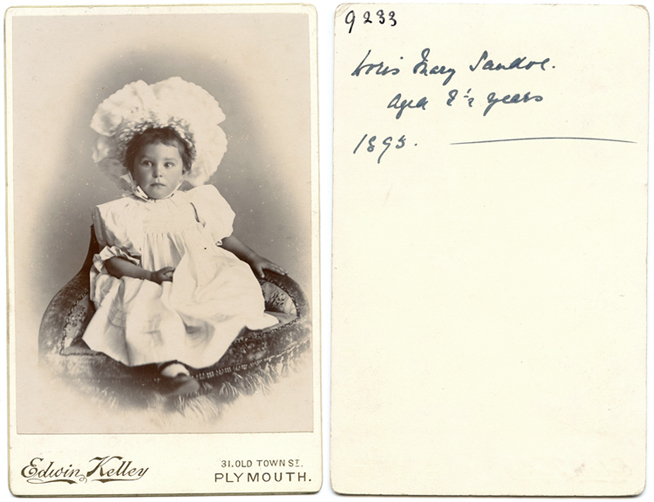 Printed on thin card this is a vintage copy of a photograph by W. Heath & Co., Plymouth. It is signed by ‘Edward Clarke’, who was a Victorian barrister and Conservative politician born in 1841. He took part in a number of famous legal case, representing Oscar Wilde in 1895 and (in a separate case) cross-examining the Prince of Wales in 1891. He was knighted in 1886 and lived into his 90th year. Several other portraits of Sir Edward Clarke can be found on the National Portrait Gallery website.